Structural glass – ubiquitous in office and high-rise residential developments in big cities – is now being used on a wide range of less high-profile but structurally innovative residential projects. The strength needed, as well as the need for excellent acoustic, solar, thermal, and security performance, means that as glass panels become bigger, they become extremely heavy. 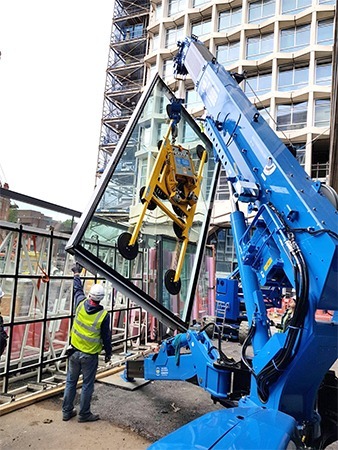 Hird Ltd is playing a key role in helping glass installation specialists as they race to keep up with new ways architects are finding to use large structural glass panels in homes. 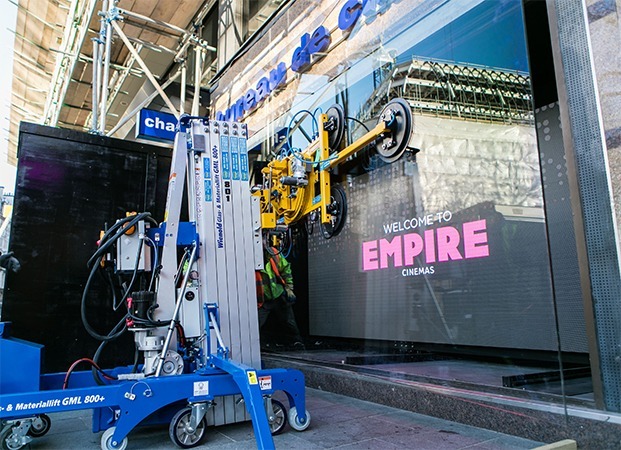 It supplies some of the UK’s most advanced and innovative glass lifting equipment and mini cranes. 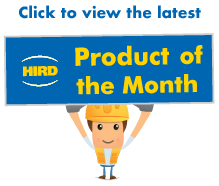 If necessary, Hird works with manufacturers to design glass vacuum lifters for specific developments. 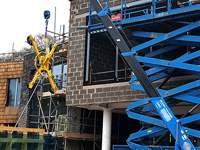 The range of equipment falls into three main categories – glazing robots, glass vacuum lifters, used in conjunction with many types of cranes, and less sophisticated but highly-effective material lifts. 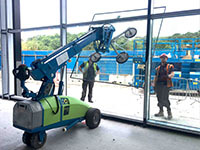 Hird Winlet glazing robots are among the most impressive Hird glass lifters. Maximum loads can reach one tonne. Glass can be installed directly overhead. And Winlets can lift any non-porous sheets, even reinforced concrete sections. 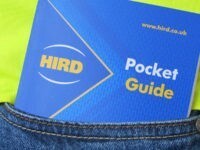 In the super-heavy range of equipment available from Hird is the Kappel 3500, known as Brutus. 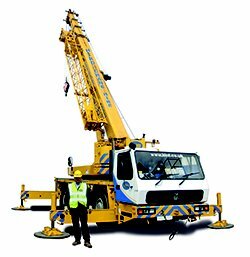 Combined with a mini or mobile crane, it can lift sheets up to 3.5 tonnes in weight. Other vacuum lifters are specifically designed to lift curved glass. Keeping things simple is the GML 800+ counterbalance floor crane. 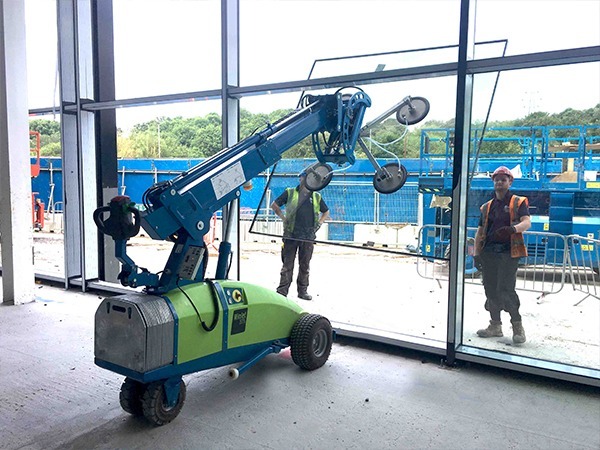 It is easy to use and can be fitted with vacuum lifter to install glass weighing up to 800kg at heights up to 7.9m and specifically including an overhead operation.